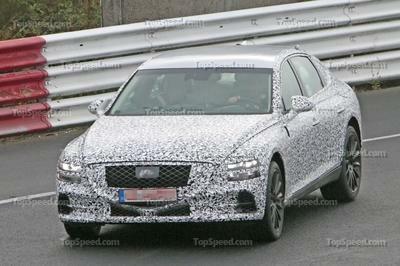 Note: 2020 Porsche Cayenne Coupe pictured here. First things first, let’s talk about pricing. 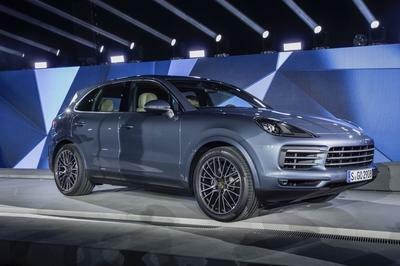 The 2020 Porsche Cayenne Cayenne is offered in two trim levels, starting with a V-6-powered base-model at $76,550. Above that is the 2020 Porsche Cayenne Coupe Turbo, which is helluva lot faster and starts at $131,350. 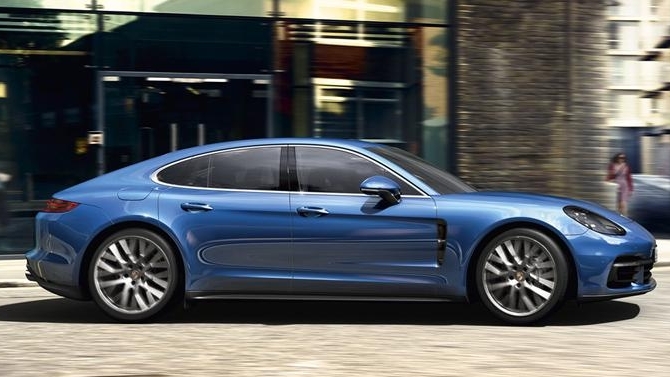 Meanwhile, the Porsche Panamera line starts at $86,300 for the base model and ranges up to $196,600 for the top-trim Panamera Turbo S E-Hybrid model. 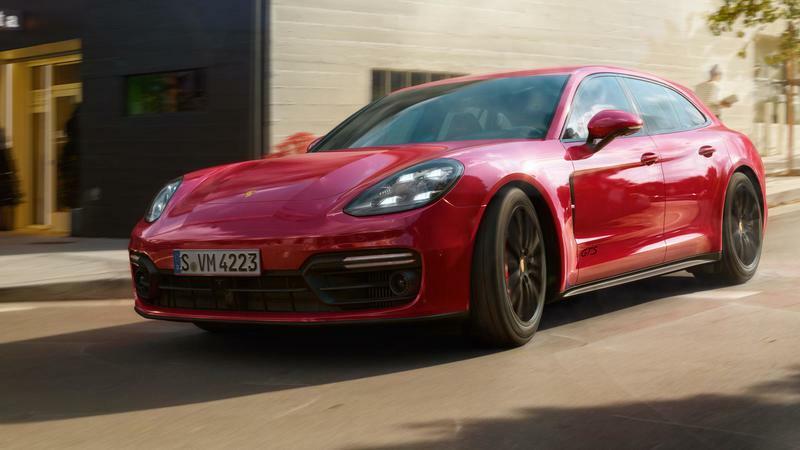 To keep things as equal as possible in this comparison, we focused on the base-model Panamera and the Panamera GTS Sport Turismo, with the former lined up against the base-model Cayenne Coupe ($86,300 for the base-model Panamera versus $76,550 for the base-model Cayenne Coupe), and the latter lined up against the Cayenne Coupe Turbo ($134,500 for the Panamera GTS Sport Turismo versus $131,350 for the Cayenne Coupe Turbo). Note: Porsche Panamera pictured on the left, Porsche Cayenne Coupe pictured on the right. Clearly, the Cayenne Coupe has a slight advantage in terms of pricing here. But hey - if you’re buying a brand-new Porsche, odds are a few grand here or there isn’t gonna make or break the deal, right? 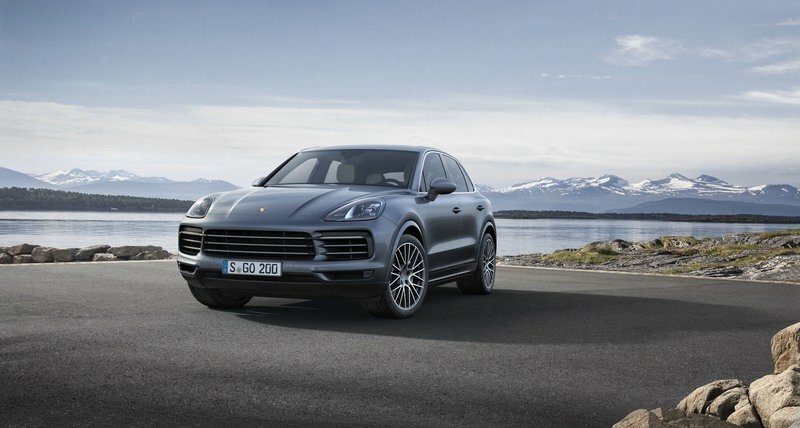 After all, Porsche is charging $9,600 more for the base-model Cayenne Coupe versus the standard Cayenne base-model. Add in the additional standard equipment, and you’re basically paying $4,000 for a lower roofline. 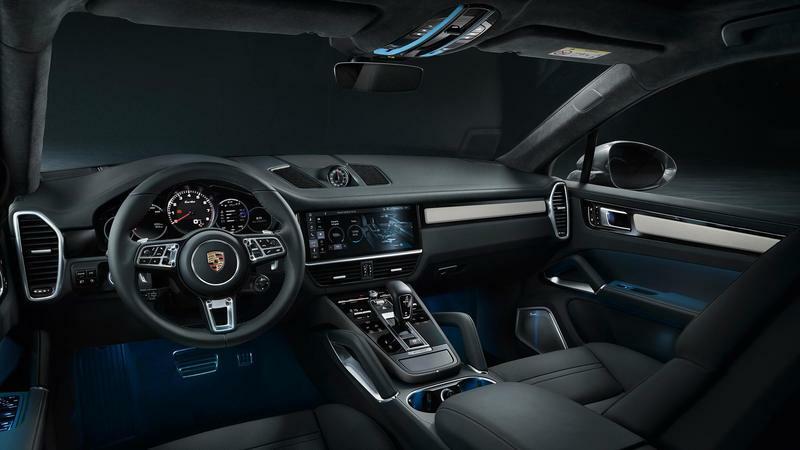 What’s more, if you look at the options list, both the Panamera and the Cayenne offer an incredible range of add-ons that could very well catapult the bottom line into the stratosphere. The point is this - in terms of pricing, the Panamera and Cayenne are actually pretty closely matched, assuming you pick the right model variants. Note: Porsche Cayenne Coupe pictured on the left, Porsche Panamera pictured on the right. This is where the Panamera really outshines the Cayenne. Thanks to its lower curb weight, the sedan/wagon simply blitzes the SUV when it comes to the business of going fast. 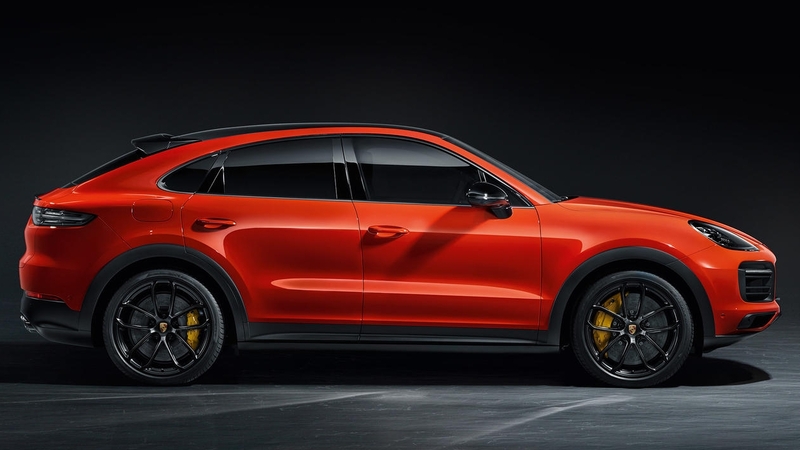 Let’s start with the 2020 Porsche Cayenne Coupe, which is offered with two powertrain options, including a base-model V-6 and a go-faster V-8. The base model gets a 3.0-liter lump which is turbocharged to produce as much as 335 horsepower and 332 pound-feet of torque, blessing it with a 0-to-60 mph time of 5.9 seconds. Top speed clocks in at 150 mph top speed. The range-topper gets a turbocharged 4.0-liter that makes 542 horsepower and 568 pound-feet of torque. 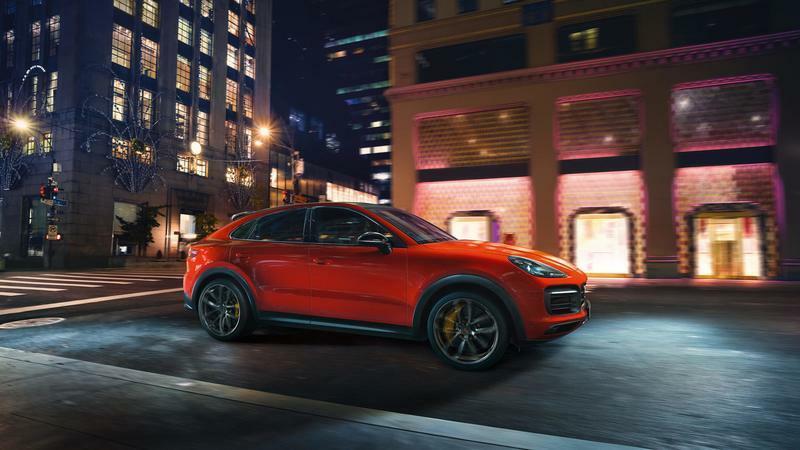 All that output drops the Cayenne Coupe Turbo’s 0-to-60 mph time down to 3.9 seconds, while the top speed is boosted to 177 mph. 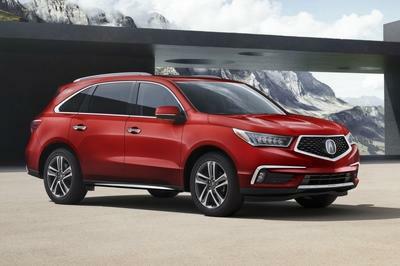 Both models connect to an eight-speed Tiptronic S automatic transmission and full-time all-wheel drive system. 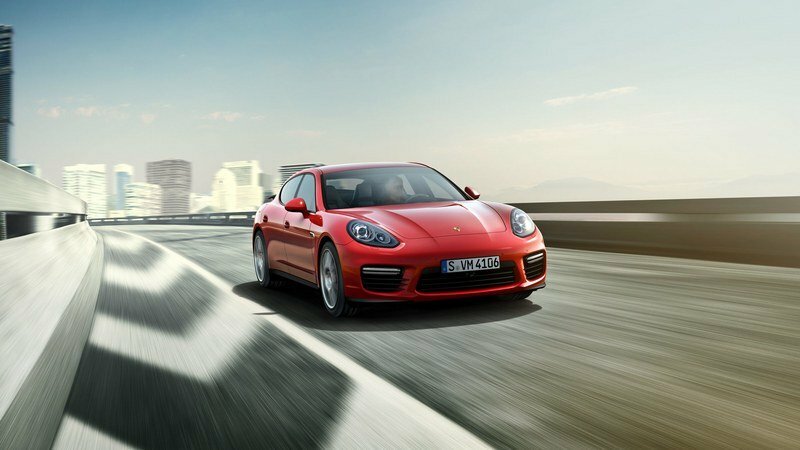 Curb weight is rated at 4,663 pounds for the base model and 5,024 pounds for the V-8-powered Turbo, while an optional carbon roof helps to cut out a little of the heft (Porsche has yet to say how much, though). 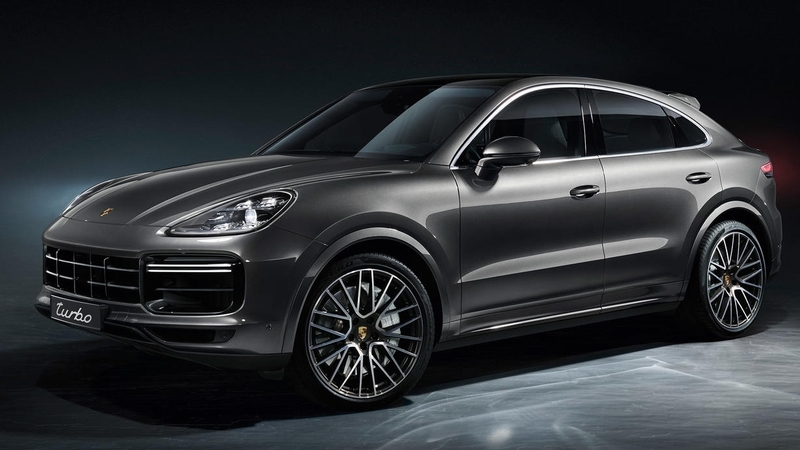 There’s also three available “lightweight sports packages” offered for the Cayenne Coupe. So how does the 2020 Porsche Cayenne Coupe compare to the Panamera? 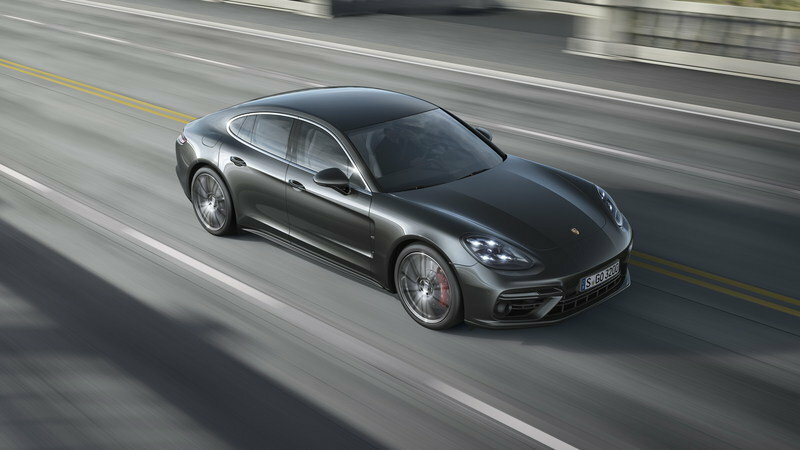 For the starters, the base-model Panamera gets a turbocharged 3.0-liter V-6 making 330 horsepower and 331 pound-feet of torque - figures that are pretty close to those of the base-model Cayenne Coupe. 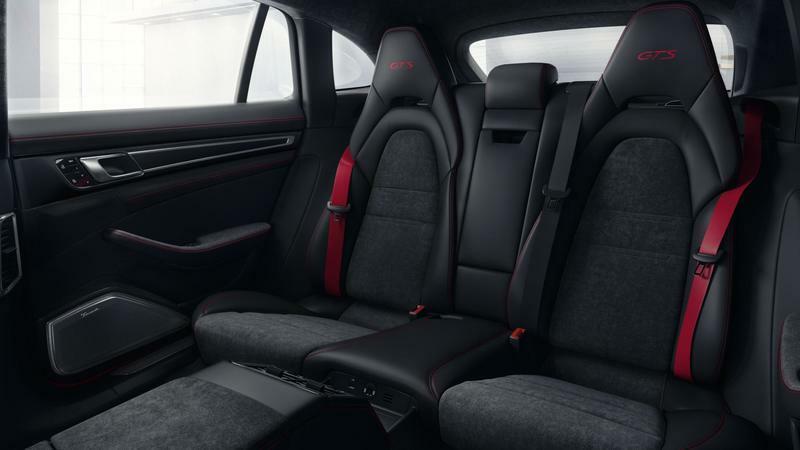 However, thanks to a much lower curb weight (4,001 pounds, 662 pounds less than the Cayenne Coupe), as well as a sharper eight-speed PDK transmission, the base-model Panamera can hit 60 mph in 5.4 seconds, or 5.2 seconds with the sport Chrono package. 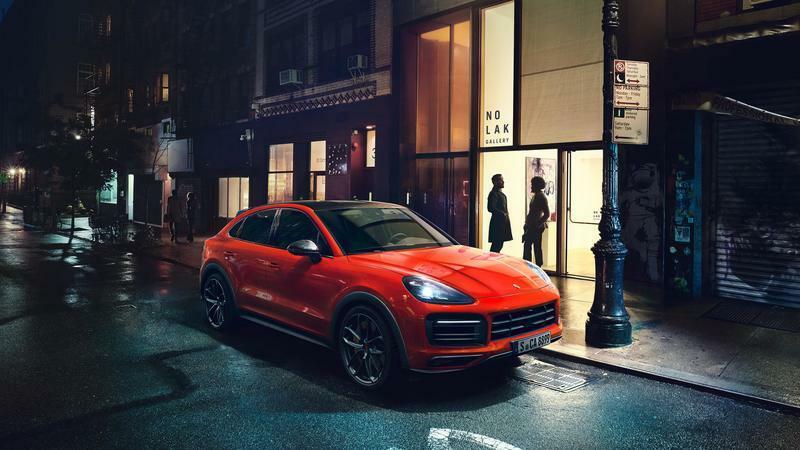 That’s as much as 0.7 seconds quicker than the base-model Cayenne Coupe, even with the Panamera’s standard rear-wheel drive up against the Cayenne’s standard all-wheel drive. Top speed is rated at 164 mph, 14 mph more than the base Cayenne, and you can bet the Panamera is a whole lot more interesting in the corners thanks to its lighter foot print. 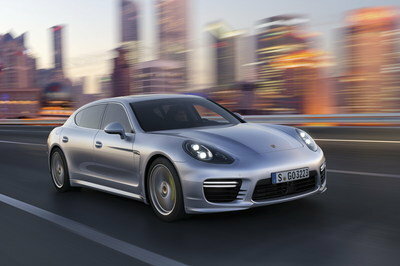 Note: Porsche Panamera GTS Sport Turismo pictured here. 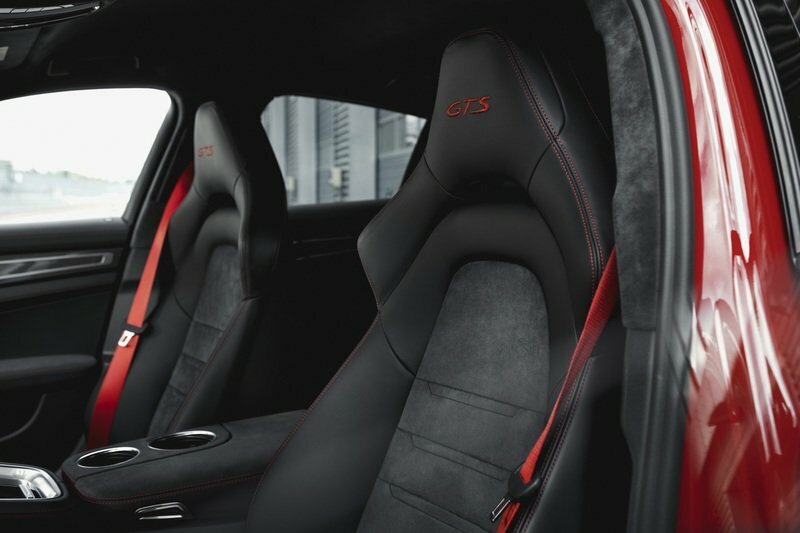 Meanwhile, the Panamera GTS Sport Turismo gets a twin-turbo 4.0-liter V-8 making 453 horsepower and 457 pound-feet of torque. 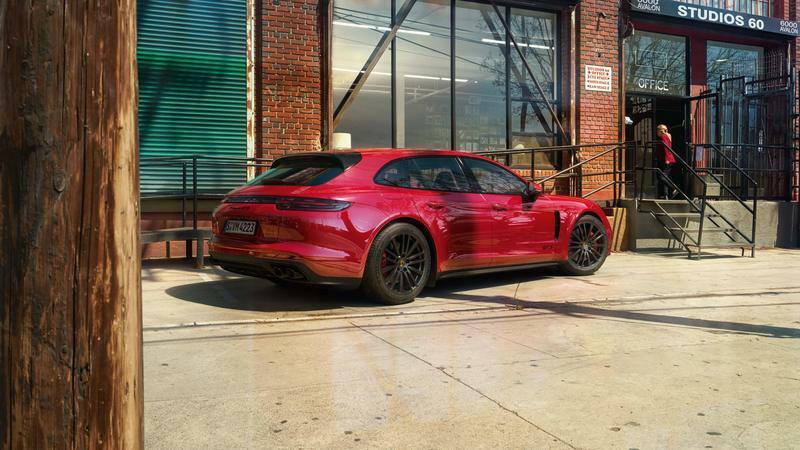 Those numbers are actually 89 ponies and a whopping 111 pound-feet under those of the 2020 Porsche Cayenne Coupe Turbo, but thanks to the Panamera GTS Sport Turimo’s lighter curb weight (4,464 pounds, 560 pounds less than that of the Cayenne Coupe Turbo) and impressive eight-speed PDK transmission, the sprint from 0 to 60 mph matches the Cayenne Coupe Turbo’s time at 3.9 seconds when equipped with the Sport Chrono Package. 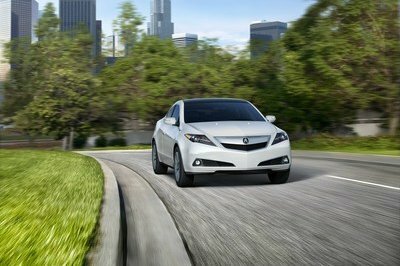 Top speed is also 2-mph higher, rated at 179 mph, while all-wheel drive is standard. The point is this - if you actually care about performance, then the Panamera is the clear winner. 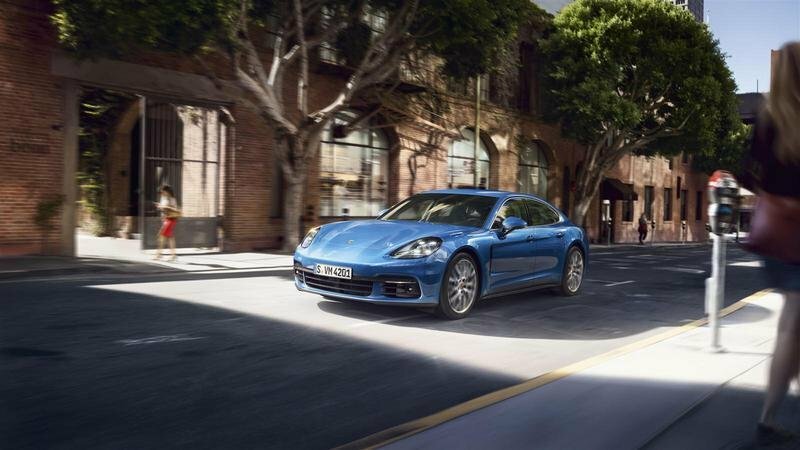 It does more with less, and when the going gets bendy, the Panamera’s lower curb weight will have you smiling a whole lot more. 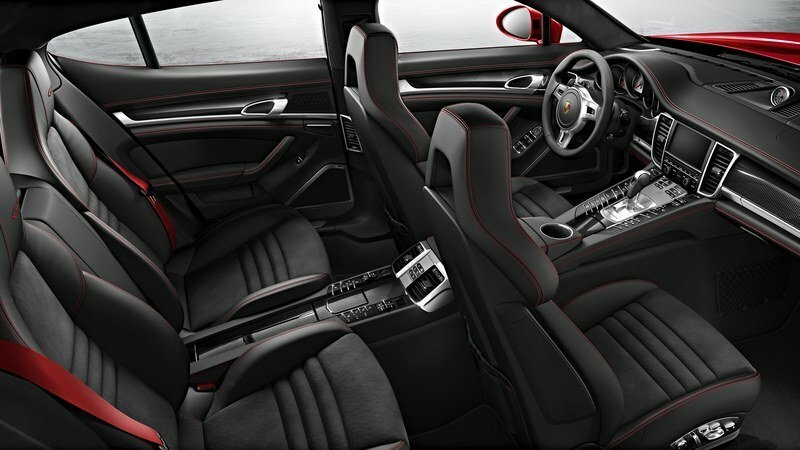 Inside the 2020 Porsche Cayenne Coupe, things look quite familiar. You get a broad dash, horizontal infotainment screen, and some nice materials as well, including carbon and Alcantara accents. The seats are decked out in checked fabric, while eight-way power adjustments are up front. 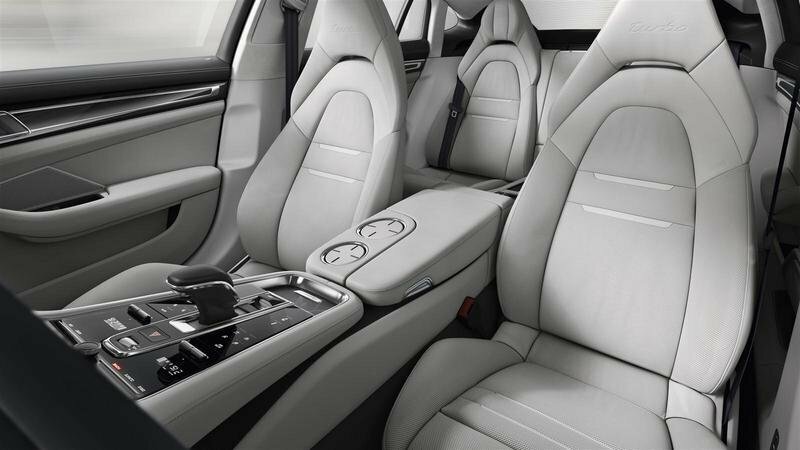 There’s also the option for rear comfort seats at no extra cost. 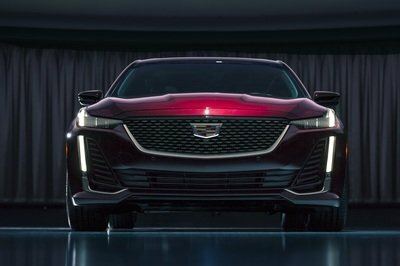 All told, you’d be hard-pressed to make an argument that either model line offers more luxury and comfort than the other. Here’s where the Cayenne starts to fight back a little bit - but to be honest, it’s not really that much of a fight. The Cayenne seats up to four passengers, and while you’d expect the lower roofline to hurt the overall headroom, Porsche says that the rear seats were lowered by 30 mm to accommodate. Rear cargo room is rated at 22.1 cubic-feet with the rear bench up and 54.3 cubic-feet with it down. Stepping over to the base-model, and we find it too offers seating for four. Cargo room is rated at 17.6 cubic-feet behind the rear seat and 47.3 cubic seat with the rear seat down, which is less than what you get with the Cayenne Coupe by 4.5 cubic-feet and 7 cubic-feet, respectively. The Panamera GTS Sport Turismo also seats four, but makes up some of the difference in cargo room thanks to a larger rear end. 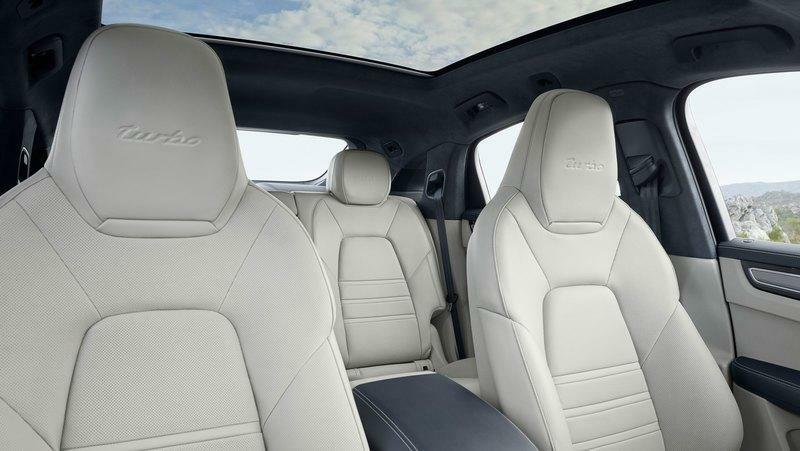 Space behind the rear seat is rated at 18.3 cubic-feet, 3.8 cubic feet less than the Cayenne Coupe, and 49 cubic-feet with seats folded, 5.3 cubic feet less than the Cayenne Coupe. All things considered, cargo space in the Panamera (either model) isn’t terrible compared to the Cayenne Coupe. 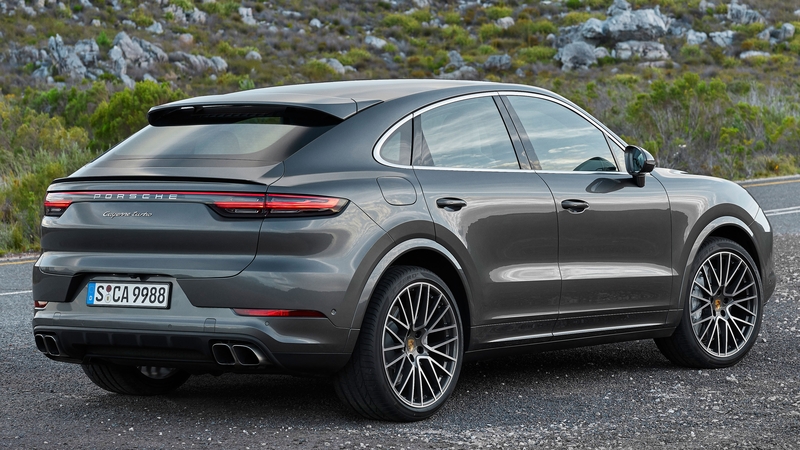 And really, if a few cubic feet here or there really makes that big of a difference, the Cayenne Coupe is probably a bad choice anyway - compared to the standard Cayenne, it loses 5 cubic-feet with the seats up and 6 cubic feet with the seats down. 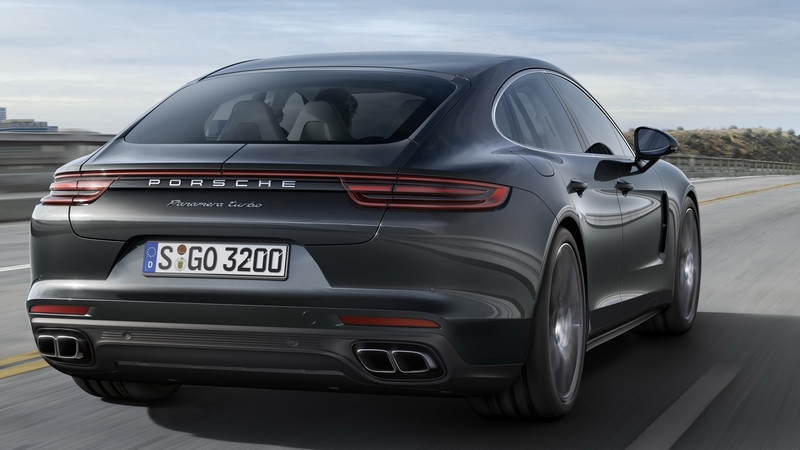 All told, we think the Porsche Panamera strikes a far better balance between performance, practicality, and luxury than the 2020 Porsche Cayenne Coupe. Do you agree, or do you think we’re off our rocker on this one? Let us know in the comments section below. 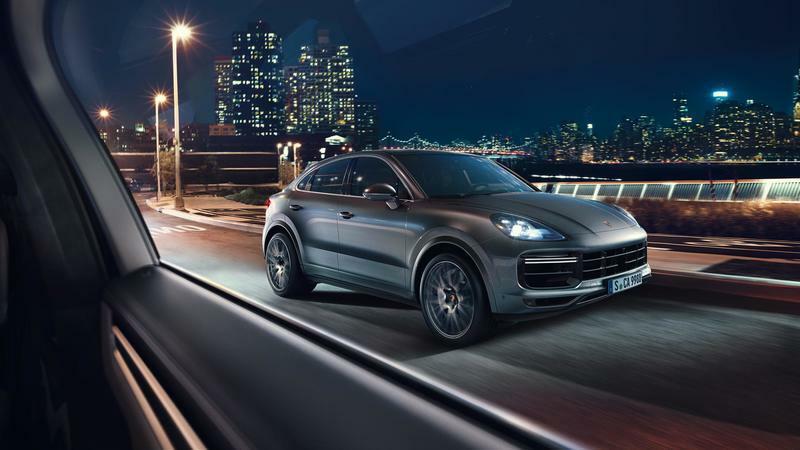 Read our review on the 2019 Porsche Cayenne Coupe. 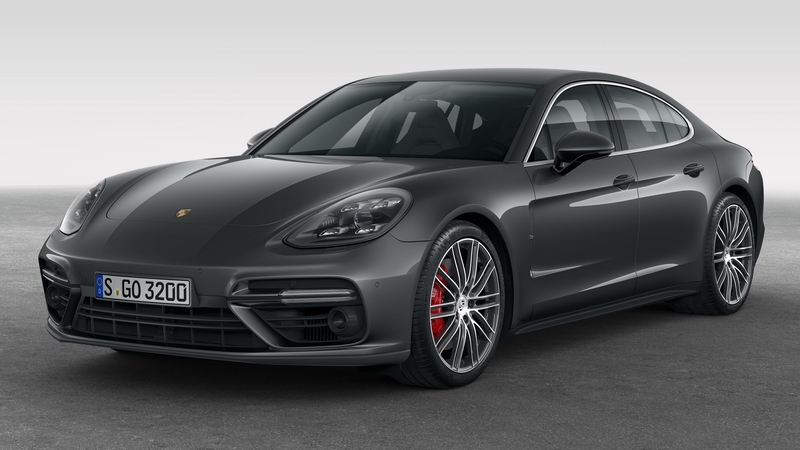 Read our full review on the 2019 Porsche Panamera GTS Sport Turismo.